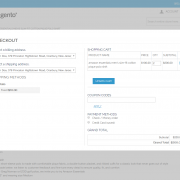 Instant Purchase Magento extension allows logged in customers to purchase selected products quickly. This option appears just below after the “Add to Cart” button on the product page. After clicking on ‘Instant Purchase’, it opens a pop-up with product details to complete the checkout process in just one click. The pop-up section displays the product quantity with Update and Remove options as well. 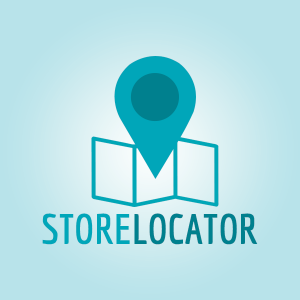 The previously saved addresses from the customer’s address book is also rendered in a drop down for selecting billing and shipping address to place the order, or the customer can also enter a new billing and shipping address. Customers can choose the Shipping and Payment method from the available shipping and payment methods. Coupon code can also be applied on the Instant Checkout pop-up. The pop-up also displays Cart Subtotal, Shipping charges, Coupon code and Grand total. 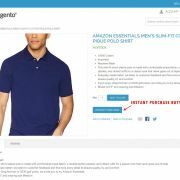 The extension allows user to place order with one click. All the checkout steps are merged together in a popup on the product detail page. Previously saved billing and shipping address can be selected up from the drop down. Cart item quantities can be updated or removed.The order can be placed by clicking on the ‘Place Order’ button. User can update the shopping cart. Cart item quantities can be updated, and items can also be removed. When the shopping cart is updated,the cart sub-total is automatically updated. The saved billing and shipping address can be selected up from the address dropdown to place order. New billing and shipping address can also be added. 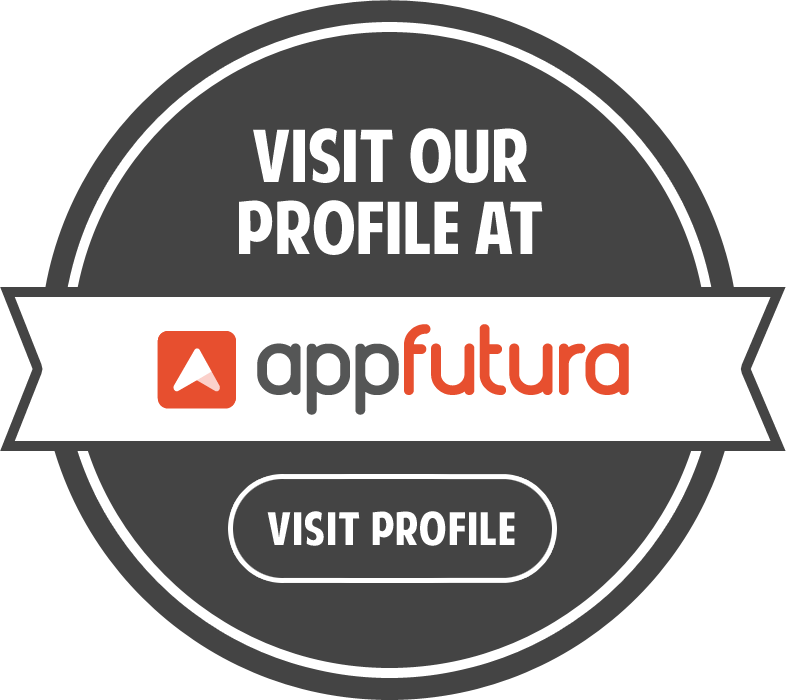 Users will have the option to save the new address to their address book. The extension lets a user to select shipping method from the list of available shipping methods displayed with their shipping charges. At least one shipping method should be selected to place an order. A user can select payment method from the list of available payment methods displayed with radio button option. At least one payment method should be selected to place an order. Coupon code can be applied on the shopping cart to avail discount on purchase. The pop up has a field to enter the discount code.When the discount code is validated and applied on the shopping cart, the cart refreshes to display the updated total. Login to store admin panel. Enable the extension from Magento administration panel. Go to System > Configuration. Click on Instant Purchase tab, enable the Instant Purchase extension and click on Save config button. 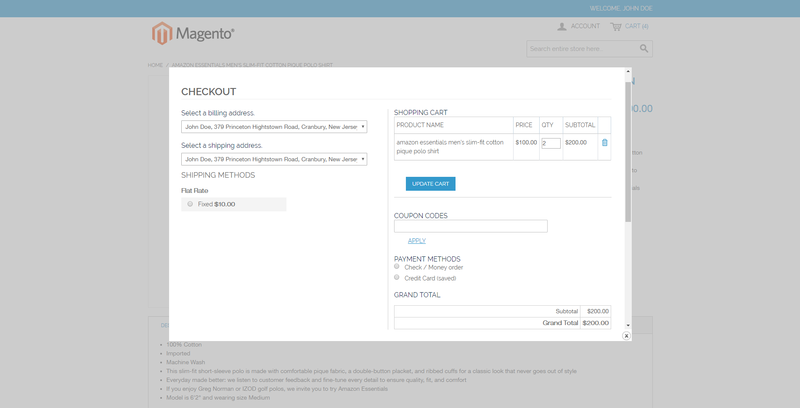 Go to Magento store and click on any product to navigate to product detailpage. 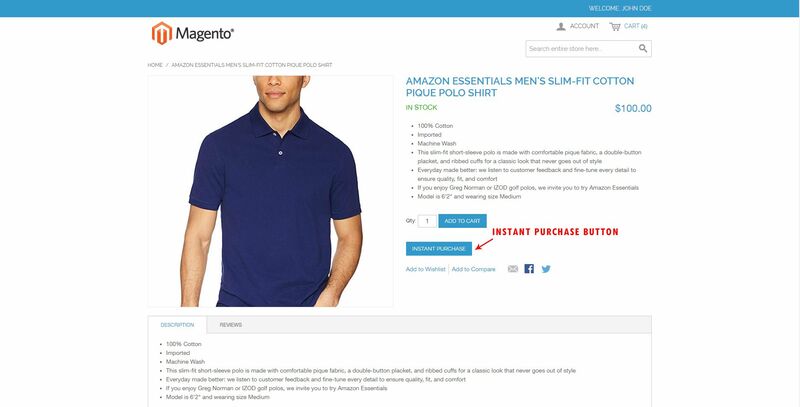 The product detailpage will display the Instant Purchase button under Add to Cart, if the user is logged into Magento store. Clicking on the Instant Purchase button will open a popup that has the required fields to complete thecheckout.